Patricia Clark started the Phoenix Academy in 1991 opening the school with just one student. Patti Clark was born in Council Bluffs, IA. Patti graduated from Thomas Jefferson High School in Council Bluffs. 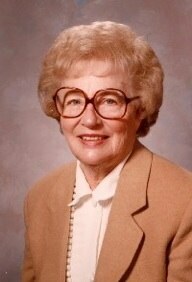 In 1948, she married Earle Clark and they raised three sons: Sam, David and Andy. Sam and his wife Janet have three children: Mary, Anne and Sam. David and his wife Kate have two children: Dexter and Michaella. Since the early 1960’s, Patti was passionate about education. When helping after school with a program called Great Books, Patti saw that children were falling seriously behind in reading. Patti set out to find a way to help. She discovered an Orton-Gillingham program called Spalding. In 1990, at the age of 67, Patti followed her dream by opening the Phoenix Academy, a non-profit private school, with one student and one teacher using the Spalding program. Working out of a bay in the Rockbrook Village Shopping Center, the school grew and with her guiding hand reached thousands of students through the day school and summer school programs. She had a wonderful way of guiding parents to feel empowered to take control of their child’s education. Up until her death in 2008, Patti worked tirelessly to serve students and their families, many of whom felt as if they had nowhere else to turn. These students were able to learn to read and get caught up to grade level in reading and math and many went on to college. She would be so proud of the Phoenix Academy, its new location and the growth of the school. We continue her work fueled by Patti’s passion for helping children to be successful in school and in life.